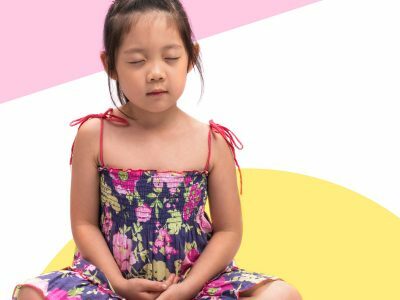 The Big Idea: In challenging situations, taking slow, deep breaths can help children calm down and solve problems. Frustration is a normal part of life, but it can overwhelm kids and bring up a lot of big feelings. You can help them to use the “Breathe, Think, Do” strategy to calm down, identify their feelings, and work to solve their problem. First, help kids calm down. Encourage them to put their hands on their bellies and slowly take three deep breaths, in through the nose and out through the mouth. Ask them to whisper “calm down” (or another encouraging phrase) to themselves. Next, help children understand their problem and think about a plan to solve it. Encourage little ones to tell you how they are feeling and why. You can help them find the words by telling them what you notice (“It seems like you feel frustrated because you’re having trouble putting on your sweater.”). Help come up with a few different plans for solving the problem (such as unbuttoning the top button). Encourage kids to choose a plan and try it out. If the plan doesn’t work, ask, “How else could you do this?,” and then try the next plan. Remind kids that learning new things takes practice. It’s not that they can’t do it; it’s that they can’t do it yet. « Back to Breathe, Think, Do!